People who experience difficulty at work can frequently feel crushed and despondent, they might even be signed off sick to have a break from such stressful conditions. They also feel it unjust that their only option is to ‘walk away’. The current financial climate has been credited for increasing workplace tension, workers are driven harder where targets need to be met. This can lead to office banter and unfortunately bullying, which can create uncomfortable working conditions. When a situation does turn into difficulty at work, there are certain options one should consider. Informal discussions with a line manager or an HR representative on the matter could be key to resolving your situation, your colleagues may be unaware that there is an issue at all, confide in them and see if your working conditions improve. Though sometimes, this is just not enough, and you may have to look into lodging a formal grievance against your employer. If this matter does not get resolved, one other option you can take is constructive dismissal. Employment solicitors are known to receive a large number of calls from employees who are seeking help with negotiating an exit in lieu of resigning on notice. If stress has gotten to you so much that you can’t return to work, then you may want to look into settlement agreements. Settlement agreements were introduced in the summer of 2013 (they were formerly called compromise agreements). They are legally binding contracts, and they record the payment of severance to an employee in consideration for the employee undertaking not to pursue claims in the employment tribunal or courts. The UK government are now encouraging employers to use settlement agreements to prevent possible future tribunal complaints. Settlement agreements can apply to different situations, such as the bullying issues discussed previously and redundancy, they can also be used to settle any employment dispute. Employees as well as employers are also afforded the opportunity to promote negotiations in confidence with a view to terminating the employment relationship. However the confidentiality rules will not apply if there is any “improper behaviour” during the negotiation process. This applies to both parties. 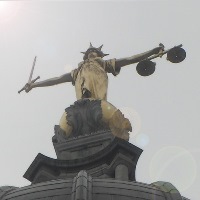 If an employee were to demonstrate improper behaviour by threatening to undermine the employer’s reputation unless there is a settlement agreement, then the tribunal would be able to decide whether or not the pre-termination negotiations are to remain confidential. This could be the correct course of action to take if you feel that your working conditions are unbearable. It is certainly a step forward for individuals who wish to have open discussions about a mutually agreeable exit, but it may require a step change for HR professionals who have hitherto driven the process. Editor’s note: See also this employment law firm directory here. 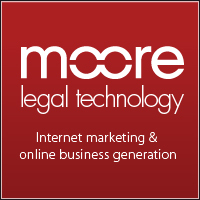 I work with a wide range of solicitors, helping them get original and informative articles published online.